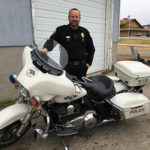 As Sturgis winds down this weekend There have been a great many things that have gone on this during the rally this week, and we here at AMERiders have dug up a few that we thought might interest you. From the 78th Logo Unveiling to a Tattooed Bike and more. 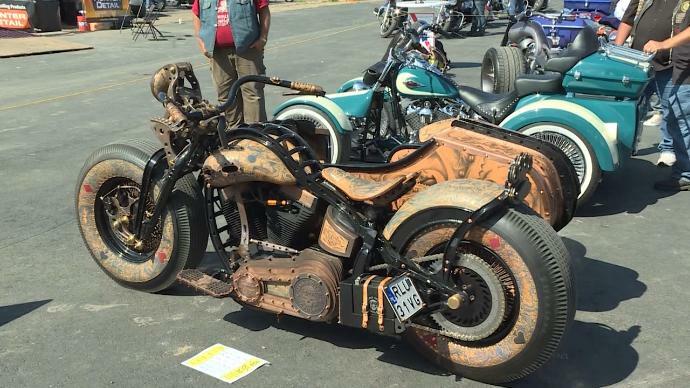 Plus we will give you a run down of the last days of Sturgis and what is happening. Dozens of veterans finished their multi state motorcycle ride honoring our nations wounded warriors in Sturgis Saturday, August 5th. 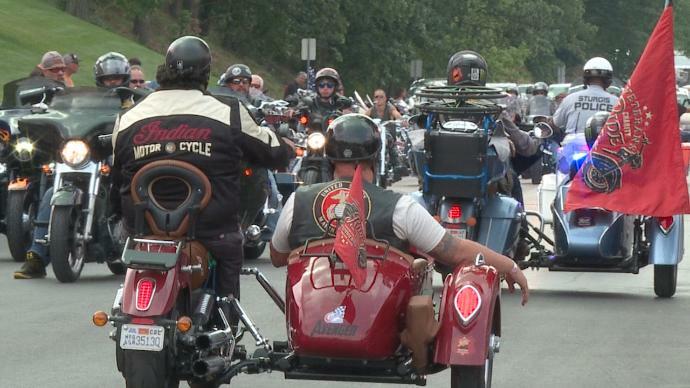 A 9-day and over a thousand miles this Veteran’s Charity Ride is this journey. Although bikers in the crowd may have looked like an ordinary group of bikers at the rally, some of the vets were on modified bikes. Organizers of the ralley wanted to be sure to leave no veteran out, even if they had been injured in combat. Mayor Mark Carstensen, along with City Manager Daniel Ainslie and numerous SMRi board members, unveiled the 78th official logo of the Sturgis® Motorcycle Rally™ on historic Main Street in downtown Sturgis Wednesday, August 9th, 2017. It has a familiar look, with the black background and reddish numbers. The logo is designed by a group of artists almost 15 to 20 months in advance. 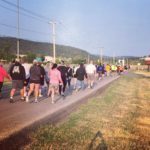 If you’re looking for more events and what to do during the Last Days of Sturgis here are a few ideas. As You are heading home please be safe. Let AMERiders keep you up to date with information on the Last days of the Sturgis Motorcycle Rally. The 77th Sturgis Motorcycle Annual Rally in Full Swing so AMERiders is letting you know what’s going on for those that are missing it to plan for next year. It started just a few days agon and still ends this weekend but there is still so much happening in Sturgis right now. So for those of you that didn’t go this year or have never gone at all. We are still bringing you a bit of information so you may plan your trip for next year. 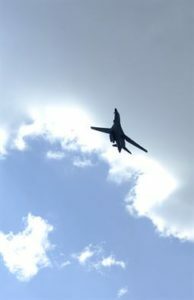 Although this one has already happened it is a big one that does happen every year and we grabbed a picture of what it looked like from the Sturgis FB page. Registration: 6:00 a.m. – 6:45 a.m.
Join us for a fun race as we run right down Legendary Main Street Sturgis on a flat, fast course from Sturgis Brown High School to the VIP Hospitality Village during the 77th Sturgis Motorcycle Annual Rally! It doesn’t get more simple than this: walk/jog /run … and raise money for local animal shelter! Free breakfast, SWAG, & more! 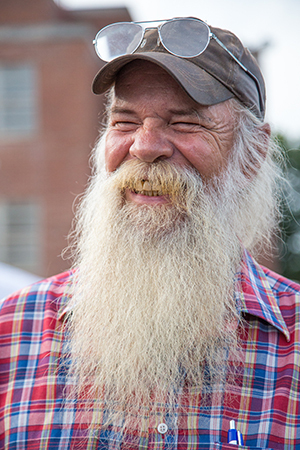 Yes, it’s official the Sturgis® Motorcycle Rally™ will be the qualifier for the National Beard and Mustache Contest for 2017. https://www.nationalbeardchampionships.com/ We all know that the motorcycle culture brings out the guys with the beards and mustaches. Think you’ve got a great beard or mustache? Are you going to be at the 77th Sturgis Motorcycle Annual Rally? Well if you do and you are, we want you! Come on down to Harley-Davidson Rally Point on the legendary Sturgis Main Street Wednesday, August 9th starting at 5:00 p.m. during the 2017 Sturgis Motorcycle Rally, and see how your beard compares to your buddies. Don’t even think about not coming. You owe it to yourself to be part of this outstanding competition. 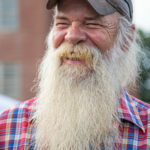 Besides, the overall winner of the Sturgis contest will be automatically entered into the National Beard and Mustache contest held in Los Angeles, California in November. 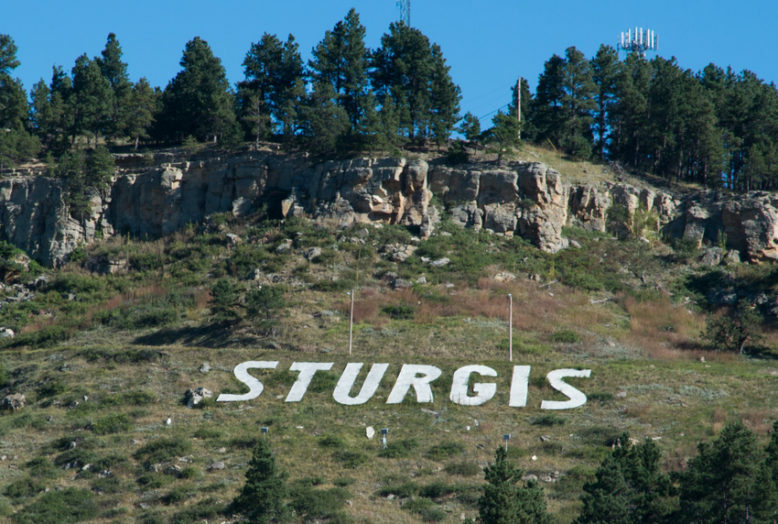 What: Mayor Mark Carstensen, along with City Manager Daniel Ainslie and numerous SMRi board members, will be on hand to unveil the 78th official logo of the Sturgis® Motorcycle Rally™ on historic Main Street in downtown Sturgis. 2:00 PM Outlaw Nation Southern Revivial – Iron Horse Saloon, 888 Junction Ave. Sturgis. 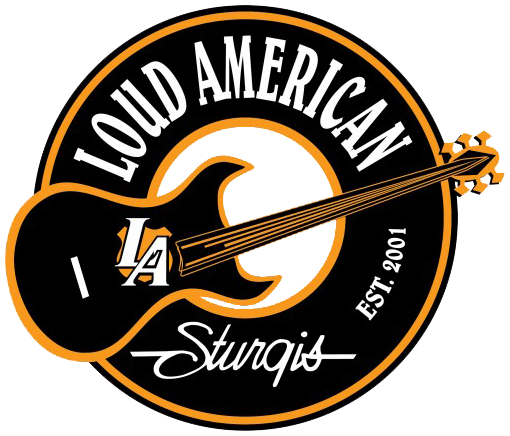 5:30 PM Tripwire – Loud American Roadhouse, 1305 Main St. Sturgis. 8:00 PM Chancey Williams and the Younger Brothers Band – Loud American Roadhouse, 1305 Main St. Sturgis. 8:00 PM Lit – Iron Horse Saloon, 888 Junction Ave. Sturgis. 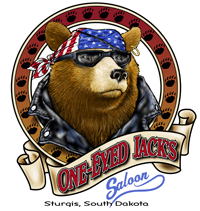 8:00 PM Guild of Ages – One-Eyed Jacks Saloon, 1304 Main St. Sturgis. 9:00 PM Free Fallin’ – Shade Valley Resort, 20158 137th Place, Sturgis. 9:00 PM Judd Hoos – Loud American Roadhouse, 1305 Main St. Sturgis. 10:30 PM Hairball – Iron Horse Saloon, 888 Junction Ave. Sturgis. 10:30 PM Dirty Word – Loud American Roadhouse, 1305 Main St. Sturgis. 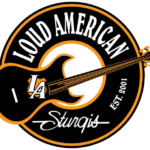 11:00 PM Juke House – Loud American Roadhouse, 1305 Main St. Sturgis. Let AMERiders keep you up to date with information on the 77th Sturgis Motorcycle Annual Rally. Since the 1st Day of the 77th Sturgis Rally Has Arrived we at AMERiders know that there is plenty of Fun, Food, and Music to be had. We wanted to wish all of you Safe Travels, Have loads of fun and Keep the Sunny Side up and the Rubber side down. We also thought we would give you a list of some of the things happening today that will start out the 1st Day of the 77th Sturgis Rally. If you wanna see some live action from Sturgis they have some live feeds on their face book page. Concerts for August Friday, August 4th. Here are the concerts and locations for 1st Day of the 77th Sturgis Rally. Let AMERiders keep you up to date on the 1st Day of the 77th Sturgis Rally. With Sturgis only being a day and a half away we at AMERiders thought we would offer up some Sturgis Long Distance Riding Tips, Do’s and Don’ts. Whether you are riding to Sturgis for the first time or the 77th time, we all learn from experience- ours or someone else’s. Sometimes it is better if you can learn from someone else’s experience! We asked around and scoured the net and this write up is what we found out for you. 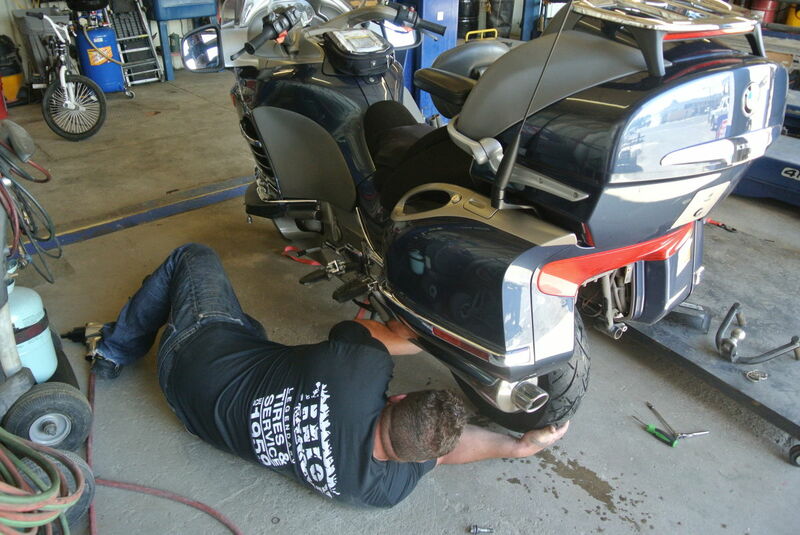 Ensure your bike is in the best mechanical shape that it can be in – you don’t want to spend your whole Sturgis trip getting your bike fixed. Get all your documents in order: license, registration, proof of insurance and that everything is current. Leave extra copies of registration/ins docs at home. Make sure these are with you and on your bike. Put ICE (In Case of Emergency) info (who to contact on your behalf) under ICE in your phone contacts. All medical personnel look for this if you are in need of assistance. Some Phones have an App for this on phones. Make sure this is also up to date. Check Laws as You will be crossing multiple state lines: DO know their laws ahead of time! Lane splitting? Right turn on red? Helmet required? And more? This is very important. You do not want multiple fines for anything in multiple states that need to be paid. Keep your phone charged. You might have to be creative. Look for food stops where you can plug in (Many Subway sandwich shops have plugs at the tables). A Phone can save your life in an emergency. Join a towing service! Break downs happen and there is nothing like being stuck with no one to turn to for help. MTS, AMA, Cross-Country motor club, some insurance companies and some auto clubs have plans that will tow you out of trouble. This is not a matter of just money (the cost of the plan versus the risk of the cost of a later tow), these clubs have contracted with tow companies around the U.S. Skip the insurance and you can spend hours burning up the phone looking for a tow company. Pay a little now or pay a lot later in the form of money and wasted trip time. Carry a flat repair kit and know how to use it! The majority of tubeless tires punctures can be repaired in just a few minutes! There is no excuse for not carrying a repair kit, but even more importantly, you should know how to use it. Practice at home on an old tire so you are not trying to figure the process out on the side of the road! While tube-type tires are more of a hassle, once you learn how to patch a tube, it can be done a lot faster than trying to arrange a tow. These are not only important some of these can save your life and save you lots of money in the long run. What to pack these in? What do you pack these in? Well, most of you already know as you take long rides to different places anyway. However, for those that don’t know Let’s give a rundown. 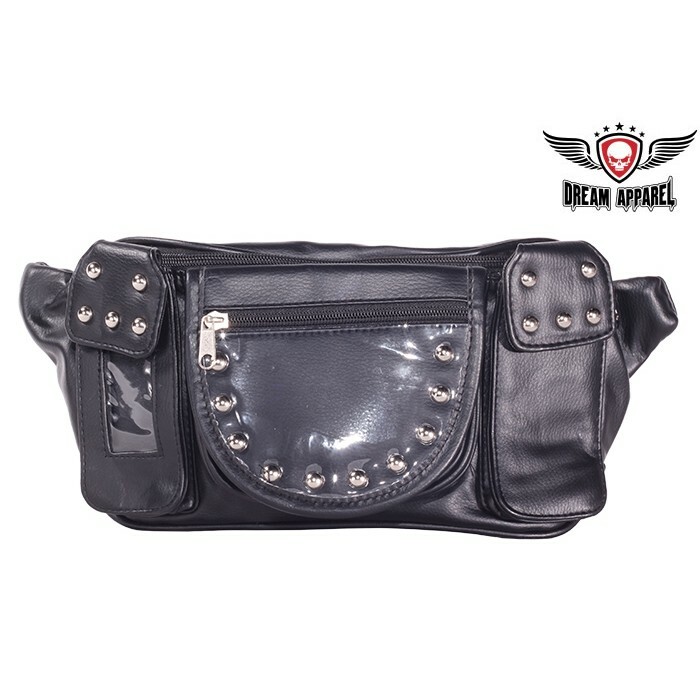 Saddlebag: A Saddlebag, can be used to pack clothes toiletries in, As well as any extra’s you need such as Meds and other important personal items you need while traveling. 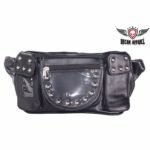 We have a large selection such as our PVC Motorcycle Saddlebag With Lock that features a zip-off bag with Heavy Duty Velcro Cover and Lock, it’s universally fitting to most bikes. Includes a hard sheet inside the box with 4 pockets, a Heavy Duty Quick Release, is 100% Waterproof. It is UV protected and it will not turn white in extreme heat and will Hold its Shape. These sweet saddlebags have 4 Tie down ribbons on each side for extra security, and also have heat protection on the bottom of the bags. You can also pack your rain gear and other easy to get to items in here as well. If they won’t fit you can Place them in other bags. Toolbag: A Toolbag Is used for putting your toolkit in, as it can happen to anyone that dreaded breakdown. A loose nut or bolt or something else that calls for a needed tool. 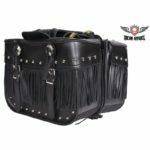 Keeping them close at hand is important, that is when a toolbag like this 10″ Motorcycle Tool Bag With Eagle, this sleek toolbag has a large=eagle stitched on the front, and on the back, it features 2 roller buckle straps for easy installation of the tool bag to the motorcycle. This slick looking bag is also waterproof to keep out moisture. Luggage is necessary when riding for a long distance you may not need many pieces if it is just one of you but when there are two of you, it takes a bit more. We have many Luggage Sets available in a varying number of pieces for you to choose from or to mix and match such as this 6pc Heavy-Duty Waterproof Motorcycle Bag Set This gorgeous set features a windshield bag, sissy bar bag, tool bag, barrel bag, and a pair of 14-1/2″ x 12-1/2″ x 7-5/8″ saddle bags.They are a universal fit for most bikes and have not only chrome studs but quick release buckles as well. 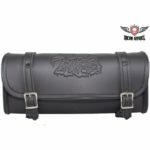 We also have other Luggage items that are lockable which are a good thing for Sturgis unless you have someone driving with you in a motorhome that has a spot to lock up your bike. Now that is what we call class. There are many extra things that you need to bring with you on your long ride to Sturgis such as physical maps cause your phone won’t work everywhere in the mountains. If you have room on your tank, use a magnetic zippered tank bag. Map in the plastic window; inside – a bottle of water, snack bar, beef jerky, tissue, travel-pack of baby wipes (trust us), small flashlight, extra gloves, a kickstand coaster, other personal essentials, can all be right there when needed vs. digging in a bag. A strong cable jacket lock, plus a strong cable bike lock, and small luggage locks like for suitcase zippers. Using these strategically can help add security and discourage snoopers on the road if you are alone and have to leave your bike unattended for a few minutes going in a restroom etc. Using airline TSA approved luggage locks or carabiner style combination locks on every zipper on every bag, is also a great investment as they are hard to break and get into quickly. There are many more things but most of all, be careful have fun and take great pictures to show us. 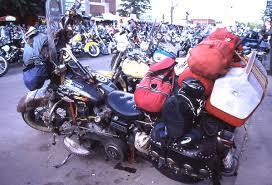 Let AMERiders keep you up to date with information Sturgis Rally and give you travel tips as well. With 6 and a half days left to the Sturgis 77th Anniversary Motorcycle Rally, we at AMERiders are continuing to dig up some more information for you on what is happening. From Racing to Coins and Museums and things in between there is lots more to inform you about. Set for August 3-5, 2017 at the Meade County Fairgrounds in Sturgis, The Russ Brown Pappy Hoel Speed Classic kicks off a full week of racing during this year’s Rally. Following the Speed Classic, The Spirit Of Sturgis Antique Motorcycle Races (open to pre-1970s vintage bikes) take place on Monday, August 7 (gates open at 4 pm). Fans are invited to an after party and vintage bike show immediately following the antique races on Monday evening at 7 p.m. at the historical Sturgis Half Mile track. Tuesday, August 8 the Sturgis Vintage Gypsy Run heads over to Black Hills Speedway for the American Flat Track Pro Half Mile and then Wednesday is the Sturgis Motorcycle Museum’s Hall of Fame Induction Ceremony. Read more of the article here. The Sturgis Motorcycle Museum & Hall of Fame’s mission is to collect, preserve and interpret the history of motorcycling; honor those who have made a positive and significant impact on the sport and lifestyle; and pay tribute to the heritage of the Sturgis Rally. Our vision is to continue as a world-class museum offering comprehensive and educational exhibits and showcasing rare and unusual motorcycles significant to our history and our sport. The Sturgis Motorcycle Museum & Hall of Fame stands out because of the fact that we not only document the history of the machines, we document the history of the people who have shaped and changed the sport and lifestyle. This will be a resource and inspiration for future generations. 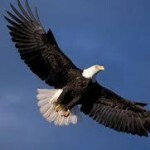 Honor the Ride… Build the Legacy! Tickets and reserved tables for the 2017 Sturgis Museum Hall of Fame Induction Breakfast are now available for purchase by calling 605-347-2001 or here. William G. Davidson Lifetime Achievement Award. This Coin Can’t Be Bought! But it can be yours! It can be yours for getting involved at the 77th Annual Sturgis® Motorcycle RallyTM between August 4th and August 13th 2017! Register and compete for one of our events including Beard & Moustache contest, 5K Run, Mayor’s Pub Crawl, Street Food Throw Down, Tattoo Contest. Only 2000 numbered coins minted! You don’t want to miss out. Don’t forget that there will be tons of concerts at all the venues throughout the week. If you are arriving on the weekend here is Saturday List of bands and where they are playing for you. We hope that you will have loads of fun if you decide to go let us know at the link below on any one of our social media pages and don’t forget to show pictures, we will continue to update you on information till the Sturgis 77th Anniversary Motorcycle Rally starts and what is going on during the rally as well. 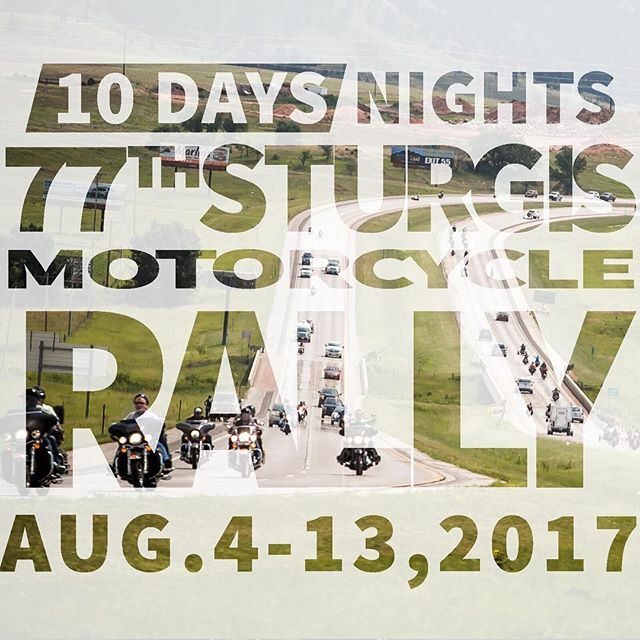 Let AMERiders keep you up to date with information on the Sturgis 77th Anniversary Motorcycle Rally. AMERiders is counting down the days till the 77th Sturgis Bike Rally and with only 8days left we are bringing you more news and events to come. 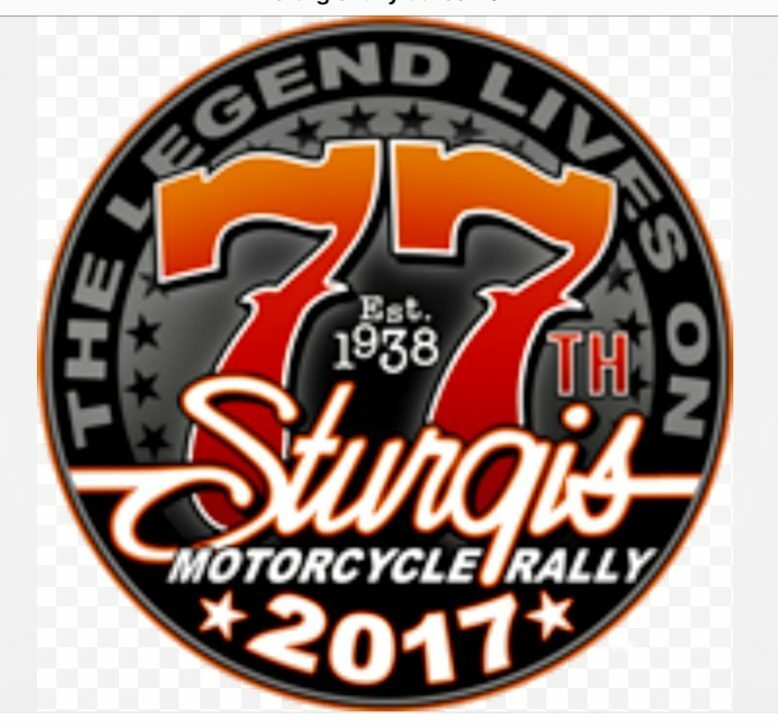 We are so excited that the 77th Anniversary Sturgis Motorcycle Rally is just days away and we will continue to bring you information on what is going to happen and what is going on during is so as we promised here is a bit more of what will be going on. In 1936, a small motorcycle club in Sturgis was formed, dedicated simply to riding and racing. They started by cleaning up the fairgrounds and began staging motorcycle “Field Days” using the old track. They had great fun doing it. But, in 1937 they took the event more seriously. 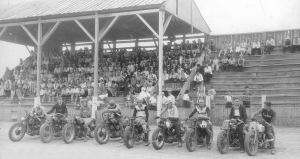 They still did all of the trick events normally done during a motorcycle Field Day, but also successfully added “speed racing” on the half-mile track to their event, which gained the notice of both the local merchants and the greater racing community. After some encouragement, agreements were made setting up 1938 to be the “birth year” of the Rally. 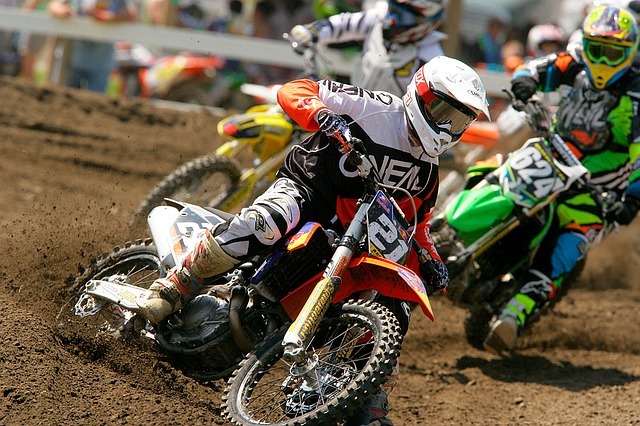 Racing events were held during August and the town of Sturgis staged “fair like” events downtown in support. The Sturgis Rally was thus born. This year we celebrate the 77th Sturgis Bike Rally and we have come a long way from 200 people showing up for racing, riding, and entertainment. 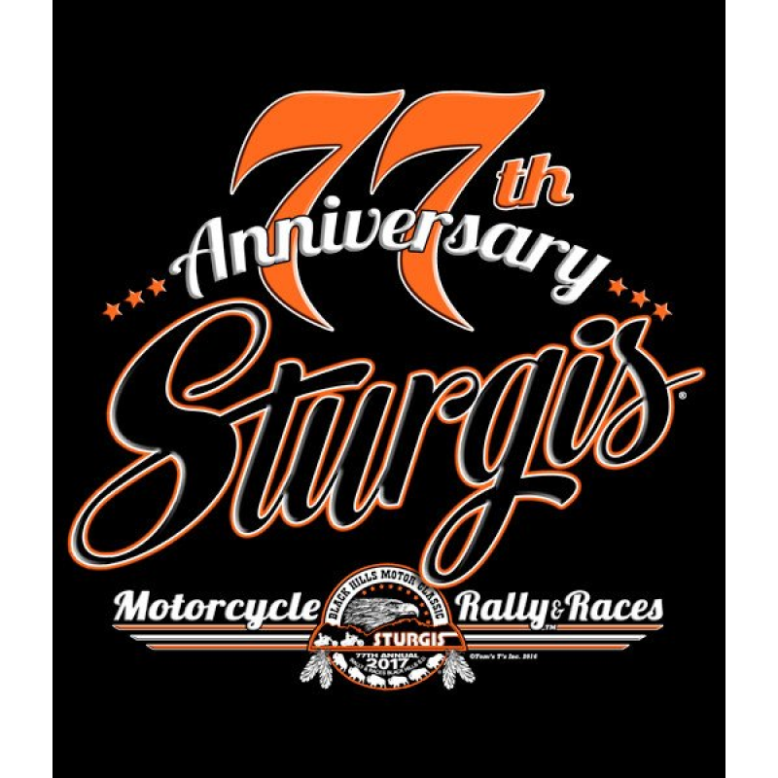 If you are coming to the 77th Anniversary Sturgis Motorcycle Rally this year be sure you take in at least one of the races that made Sturgis what it is today. Each year during the Sturgis® Motorcycle Rally™, the City of Sturgis designates a special day to honor our military who have and are currently serving to assure we have the freedoms that we treasure. This year, the City of Sturgis is proud to set aside Tuesday, August 8th as Military Appreciation Day. 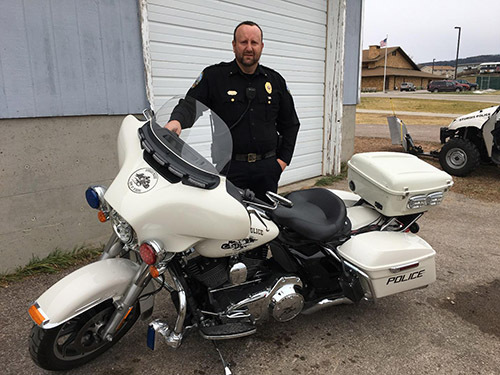 At 2:00 pm, the City of Sturgis will be hosting a reception at the conclusion of the Dakota Thunder Run at the VIP Hospitality Center at 1544 Lazelle Street to honor WWII Veteran and Pearl Harbor survivor Stan Lieberman. At the conclusion, everyone will go to Main Street to await the B-1 flyover at 3:00 pm. Read more on Military Appreciation Day Here. For information on the DAKOTA THUNDER RUN, please visit the “GREEN KNIGHTS ELLSWORTH AFB” Facebook page. 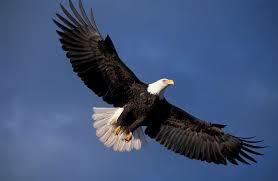 Patriotism….IS NOT SHORT, FRENZIED OUTBURSTS OF EMOTION, BUT THE TRANQUIL AND STEADY DEDICATION OF A LIFETIME. There’s nothing more enjoyable after a long day of riding then kicking back with friends and enjoying a few cold ones. 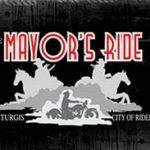 We invite you and your friends to join the Mayor of Sturgis, Mark Carstensen and other Rally V.I.P.’s for the annual Sturgis Mayor’s Pub Crawl.The pub crawl will give you a tour of several iconic bars of the Sturgis downtown. Enjoy a few with your friends, perhaps make a few new friends along the way and rub shoulders with some of the past and current legends of the Sturgis® Motorcycle Rally™. In addition, all participants will receive a 77th Annual Sturgis Challenge Coin. Plan to join us and raise your glass to another great rally in the City of Riders. The ride will take place on Tuesday, August 8th at 7:00 pm at Rally Point, Main Street, and Harley-Davidson Way. Experience the ride of your life alongside your favorite Discovery Channel talent during the 77th anniversary of the Sturgis® Motorcycle Rally™. Join the Discovery Ride and cruise along with the Diesel Brothers and the Street Outlaws as they lead you through some of the most gorgeous scenery in the Black Hills. This three-hour ride will take you via the back roads where you will experience some of the most spectacular vistas South Dakota has to offer. Your registration will include one gift bag per bike, a spectacular ride with celebrities, and group lunch at the City’s VIP Hospitality Village. Let AMERiders keep you up to date with information on the 77th Sturgis Bike Rally. AMERiders loves to eat and party so we are serving you up some Great 77th Sturgis Motorcycle Rally Establishment and Venue Stops for this year. With Sturgis just 15 days away we thought we would give you a rundown on just a few of the places you can eat or the venue stops you may see while you’re there. The local establishments are very excited to host the country’s biggest and best motorcycle rally! They are working hard to make sure everything is ready for you to enjoy 10 days of incredible riding, music, food, and friends. Sturgis even caught up with some of our the local establishments in Sturgis, and those that were available were more than happy have photos in between their hard working moments. These are just a few establishments that you can find at the 77th Sturgis Motorcycle Rally they are by far not all of them you can find more of them on the Sturgis website. 1304 Main Street: This mainstay of the bike rally opened June 2 for the season. Known for the One-Eyed Jack’s Girls, 3 stories of gorgeous bartenders and dancers guarantee rally goers non-stop entertainment. 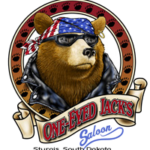 One-Eyed Jack’s takes up nearly an entire block on Main Street, and hosts live music all rally long. Terri, One-Eyed Jack’s general manager, is in full hustle mode to get everything perfect in time for the rally. 900-998 2nd Street: With the longest bar in South Dakota at 85 feet long, the Knuckle is a favorite for any rally goer. They are staffed with 200 employees during the rally, 4 kitchens running around the clock, and numerous vendors within their 45,000 square feet establishment. The Brewery currently offers 8 brews on tap and sells Knuckle canned beer on site. 1305 Main Street: Open year round, the Loud American is the place to be for incredible, accessible live concerts during the rally. Two floors and dancing right up to the stage make the Loud American a must-visit establishment as well as a venue. They also offer a full menu, the Legendary Steak Tip dinner as their hallmark meal. Venues are the best at the 77th Sturgis Motorcycle Rally and from concerts to beer and spirits and more, we love our venues and these are the popular ones for more see here. The world famous Iron Horse Saloon®, a major destination for bikers in Daytona Beach, FL for more than 30 years, brings its unique brand to Sturgis, South Dakota. Featuring a world class restaurant, known for its great food and hospitality, this prime Sturgis location will reflect the rich character of the original Iron Horse Saloon® that bikers from all over the world have come to know and appreciate. The draw for many to Iron Horse Saloon® is a distinctive line up of awesome music from national acts of all genres, great beer and drinks, along with an affinity for motorcyclists of all types. Read More about the Iron Horse Saloon Here. The very first Sturgis Motorcycle Rally in 1938 had just 9 participating bikers and a small audience of spectators. Today, western South Dakota’s bike rally draws thousands upon thousands of bikers and spectators each and every year. In 1983, 600 acres of land east of Sturgis, South Dakota was purchased and transformed into a sprawling, comfortable camping facility to support the world’s biggest and best manifestation of motorcycle culture as it caught on like a prairie blaze. When the bikers demanded a clean and spacious home-away-from-home to pitch their tents and park their campers, a local Sturgis family responded by creating the all-inclusive Glencoe. Throughout the last 20+ years since its inception, Glencoe has become an important icon in Sturgis Motorcycle Rally history. Read More about Glencoe Here. Prepare to get an exclusive pass to unrivaled entertainment that will get you so excited you’ll understand why “Holy sh** that was f***ing awesome!” is an understatement! Everyone knows the Buffalo Chip has the best Sturgis Rally concerts; the hottest stars play at the Largest Music Festival in Motorcycling™. See for yourself by checking out the extensive list of legendary performers who have taken to one of the Chip’s seven stages since 1981. Read More about the Buffalo Chip Here. If you ask Michael Ballard the owner of Full Throttle Saloon what makes the Full Throttle different from other bars? He’ll tell you…. “You get such a range of people coming in. Most bars are segregated by age. You have the dance club for young guys or the country club for the older fellas. Not at the Full Throttle. It’s common to see a 21-year-old guy sitting and having a beer with another guy old enough to be his granddad, and they both have riding motorcycles in common. It’s a real cool thing.” They get a lot of beer and we mean a lot… Per Michael “We get about 15,000 people a night. They go through A LOT of beer. We get two tractor trailers full of beer delivered every night of the rally. 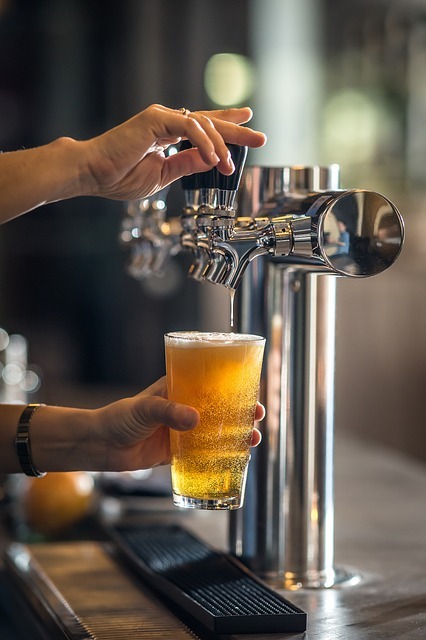 The beer companies know by now that there are so many motorcycles clogging the roads, they can’t send trucks during the day, so they come after 3:00 AM when the bars have closed.” Read More about Full Throttle Saloon Here. Let AMERiders keep you up to date with information about 77th Sturgis Motorcycle Rally. Just 20 Long Days Left Till 10 Days and Nights of Riding, Food, and Music and Lots of Fun!!! Just 20 Long Days Left Till 10 Days and Nights of Riding, Food, and Music and Lots of Fun!!! AMERiders is ready for the 77th Annual Sturgis Motorcycle Rally to begin, are you? With just 20 long days left till 10 days and nights of riding, food, and music and lots of fun, we thought we would bring you a bit more information on what is going on at Sturgis this year. In 20 Days approximately 500,000 riders, concert fanatics, and street-food enjoyers will attend these years Sturgis Motorcycle Rally. 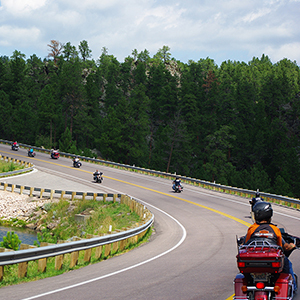 Sturgis is located in the Black Hills of South Dakota, only minutes away from Mount Rushmore, Crazy Horse, Devils Tower, Custer State Park, and some of the most scenic riding in the country. Let’s start with a few events that are happening when Sturgis starts in just 20 Long Days. Lots of things go on from Rides to Contests to giveaways. The ride was started in 2003 by former Mayor Mark Ziegler and has been carried on by the late Mayor Maury Larue and currently by Mayor Mark Carstensen. It was started with a route stopping at Mt. Rushmore for a group picture but has also enjoyed the beauty of Crazy Horse Monument and the Center of the Nation Visitor Center in Belle Fourche. 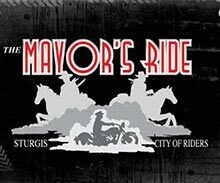 Jack Daniels & the City of Sturgis are excited to be hosting the 15th Annual Sturgis Mayor’s Ride during the 77th Annual Sturgis Motorcycle Rally! 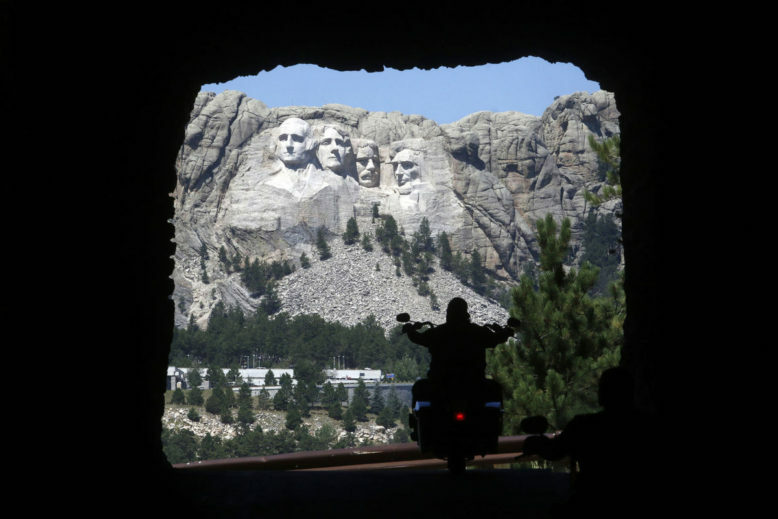 This ride has been a special part of the Sturgis Rally, not only for the amazing beauty of the Black Hills but that it brings people together from all over the world…and brings them back year after year! Proceeds from the ride have always gone back to our emergency services, supporting the men & women who dedicate so much Rally week to give aid and keep us safe. Yes, it’s official the Sturgis® Motorcycle Rally™ will be the qualifier for the National Beard and Mustache Contest for 2017. We all know that the motorcycle culture brings out the guys with the beards and mustaches. Think you’ve got a great beard or mustache? 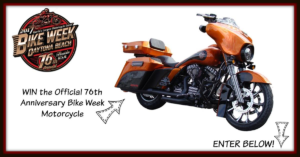 Are you going to be at the 77th Sturgis® Motorcycle Rally™? Well if you do and you are, we want you! Come on down to Harley-Davidson Rally Point on the legendary Sturgis Main Street Wednesday, August 9th starting at 5:00 p.m. during the 2017 Sturgis Motorcycle Rally, and see how your beard compares to your buddies. Don’t even think about not coming. You owe it to yourself to be part of this outstanding competition. Besides, the overall winner of the Sturgis contest will be automatically entered into the National Beard and Mustache contest held in Los Angeles, California in November. Check here for Sturgis’s different categories and more information. We will be finding you more information and news as it gets closer to the rally. And remember it is just 20 Long Days Left so get ready and gear up, to have loads of fun for 10 Days & Nights of Riding, Food, and Music!!! Let AMERiders keep you up to date with 20 Long Days Left to the 77th Annual Sturgis Rally. The final days of the 76th Daytona Bike Week vow to impress with variety and style so AMERiders brings you a few that you don’t want to miss. We decided to give you a few of the fun highlights for both motorcycle lovers and that of you who may want to escape the roar. First of all don’t forget to enter to WIN THE Official 76th Daytona Bike Week Motorcycle! Customized 2010 Harley-Davidson® Ultra Class! ENTER TODAY! See Official Rules and regulations when entering online! 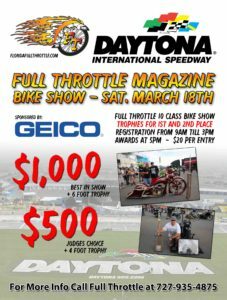 Do you Need Speed during the 76th Daytona Bike Week? Hit up Daytona International Speedway for Bike Week’s signature event at the Annual Daytona 200. The race has been held at the venue since 1961. From 1937-1960 the event was held on the Daytona beach-road course using the shoreline and State Road A1A. Top events start with race qualifying Friday and the big event Saturday. Tickets for Speedway entry can be purchased, or you can check out the Monster Energy sports demos and wander the motorcycle vendors outside the venue for free. WHERE: Daytona International Speedway, One Daytona Blvd., Daytona Beach. WHEN: On Friday, a DAYTONA 200 practice session from 9 to 9:25 a.m. will be followed by three qualifying sessions starting at 10:45 a.m., 1 and 4:30 p.m. Saturday’s race starts at 1 p.m. Gates open Saturday at 8 a.m.
MORE INFO: Call 1-800-PITSHOP or go to daytonainternationalspeedway.com to purchase tickets. Heard of Burning Man What about Burning Bike? 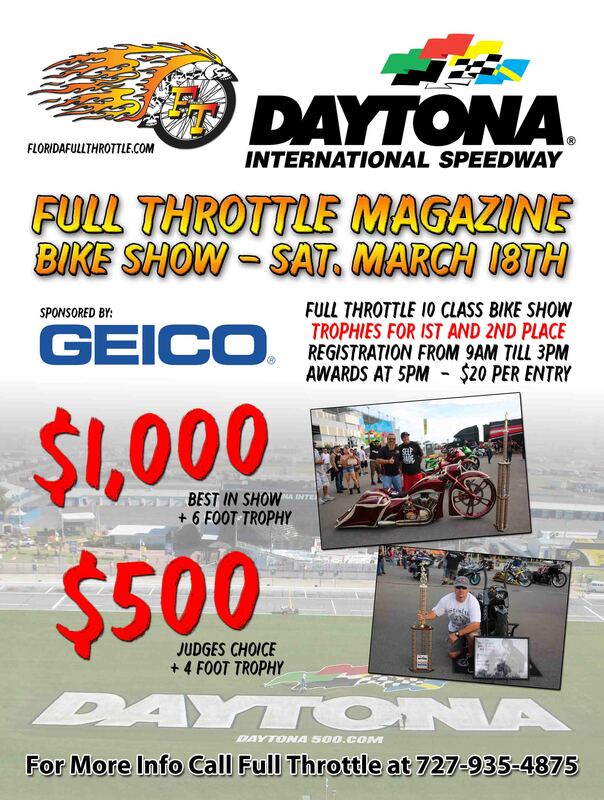 Here is a great reason that you Don’t want to Miss the 76th Daytona Bike Week! Daytona Bike weeks newest Signature Event: Burning Bike. Ring in St. Patrick’s Day tonight at the Burning Bike rally, where festival goers can sign their name to a massive wooden bike — and then watch as it burns to the ground. 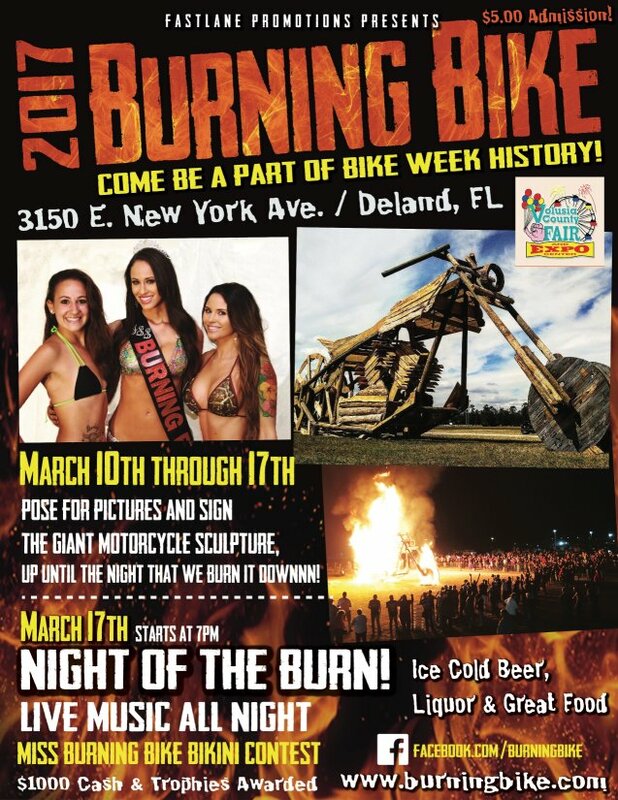 The Bike Week-themed bonfire will feature live bands on two stages, food and drinks and a Miss Burning Bike Bikini Contest leading up to the burning of a motorcycle sculpture that makes even a Boss Hoss look like a Matchbox toy. WHERE: The Volusia County Fairgrounds, 3150 E. New York Ave., DeLand. 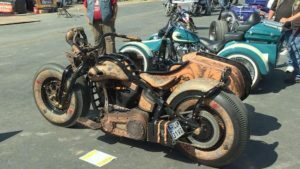 WHAT: The 45th Annual Rat’s Hole Custom Bike Show features 18 different classes of motorcycles including custom choppers. Bike owners who want to register need to have it done and get their bike in place by 10 a.m. Saturday. Lunch will be available for purchase for visitors who can troll the Beach Street shops and vendors after eyeing the chrome. MORE INFO: Go to ratsholecustombikeshows.com or call Indian Motorcycle Daytona Beach at 386-275-1660. WHAT: Rolling out of town on Sunday? Grab a bite at the weekly Biker Breakfast at The Beaver Bar in Ormond. The breakfast is a weekly affair at the bar, providing traditional home style riding fuel – bacon, eggs, and the like — in a family cookout type of atmosphere. MORE INFO: Breakfast plates are $5. 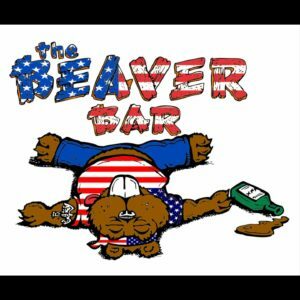 Check out the bar’s Facebook page at facebook.com/BeaverbarDaytona or call 386-673-3400. Like the myriad events through the two weekends of the 76th Daytona Bike Week, we can’t list all of the great shows, but here are a few you won’t want to miss. Friday: In the Light, a Led Zeppelin tribute band, will play at Broken Spoke, 1151 US 1, Ormond Beach, at 6 p.m. Outlaws will play at 9:30 p.m. at Iron Horse Saloon, 1068 US 1, Ormond Beach. Orange Avenue can be caught at 11 p.m. at Main Street Station, 316 Main St., Daytona Beach. Saturday: At 11 a.m., don’t miss Donnaha Station at Cacklebery Campground, 560 Tomoka Farms Road, Port Orange, and Bad Company’s Brian Howe at Iron Horse Saloon at 9:30 p.m.
Papa Wheelie is going to be playing at 6 p.m. at Seminole Harley Davidson, 620 Hickman Circle, Sanford. Sunday: At 1 p.m., hit Main Street Station in Daytona Beach for The Living Deads, Microwave Dave, and the Nukes at 5 p.m. and Crashrocket at 7 p.m., before you ride outta town. For those who want to take in some of the more stationary sights this weekend here are a few that would be fun to have a look-see at. Saturday is the 58th Winter Park Sidewalk Art Festival. The original festival debuted in 1960 and this year, more than 1,100 artists from around the world applied to take part. Judges whittled that down to the 225 artists who will be on display. The festival features categories including clay, digital art, drawings and pastels, fiber, glass, graphics and printmaking, jewelry, leather, metal, mixed media 2D, mixed media 3D, painting, photography, sculpture, watercolor and wood and a kids workshop for budding creators. Also, the Florida Department of Transportation announced Monday that SunRail trains will be running a special service to get into the Orlando area, so visitors can spend a little less time dealing with traffic. But be aware, pet owners. According to the event website, a city ordinance bars pets from Central Park and on Park Avenue between New England Avenue and Canton Avenue. 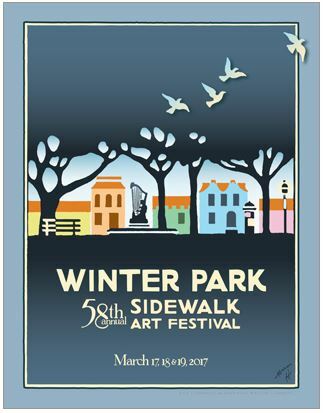 WHEN: Friday and Saturday, from 8 a.m. to 6 p.m.; Sunday from 8 a.m. to 5 p.m.
MORE INFO: Go to wpsaf.org or call 407-644-7207. Let AMERiders help you keep up to date on information and news of the 76th Daytona Bike Week. 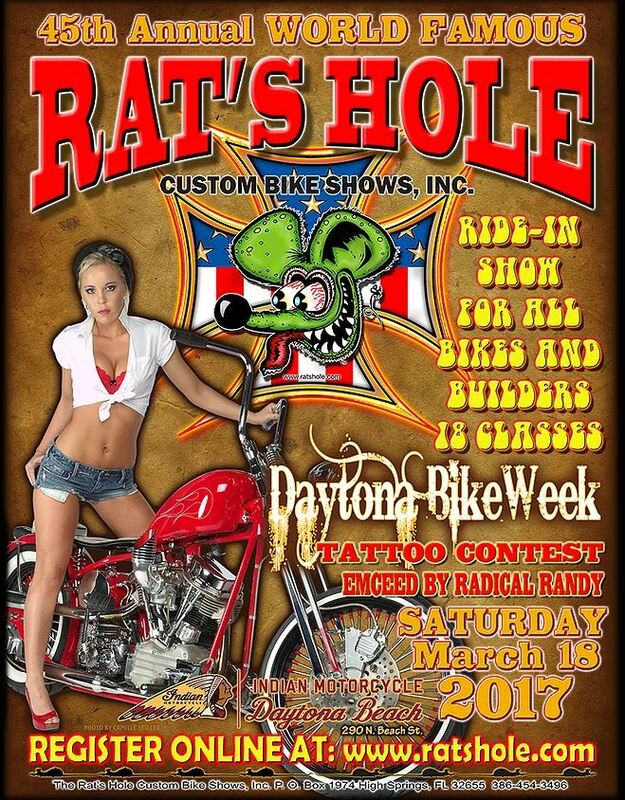 AMERiders says you need to Get Your Motor Running, as Daytona Bike Week 2017 Is Coming Next Week. AMERiders will work to keep you updated on some Daytona Bike Week news this coming week. In addition to that, we will show you some exciting things that go on during bike week after it starts. So, stay tuned and keep watching this blog! Ben is the Artist behind the Daytona Bike Week 2017 of Print Art Screen Printing Inc., a Daytona Beach-based company which specializes in providing apparel for major motorcycle rallies nationwide and online. With a solid background in art and he’s illustrated hundreds of motorcycle related t-shirt designs over the years for Print Art. This is his 3rd time winning the Daytona Bike Week logo design competition. As he designed the 2014 and 2015 logos as well. Ben is thrilled to be the Daytona Bike Week 2017 designer, he calls it his “claim to fame”, and would say it is one of the highest honors of the motorcycle design community. Just knowing that hundreds of thousands of people will be seeing the fruit of his labor is an incredible feeling. 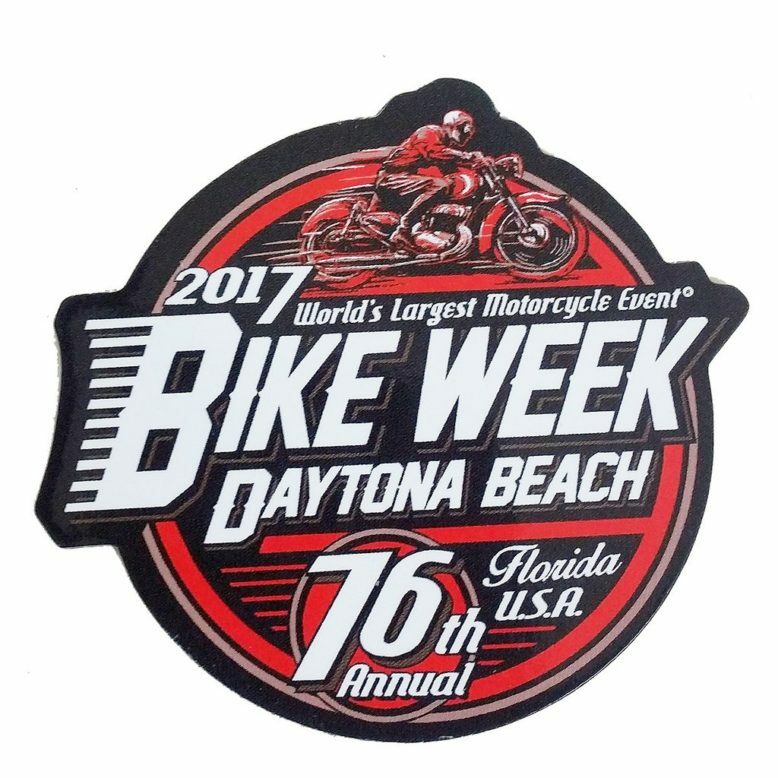 An exciting change is happening to one of Daytona International Speedway’s (DIS) most popular Bike Week events. Daytona International Speedway is proud to announce that American Flat Track will debut its 2017 season inside the “World Center of Racing” on a one-of-a-kind .6-mile TT course. 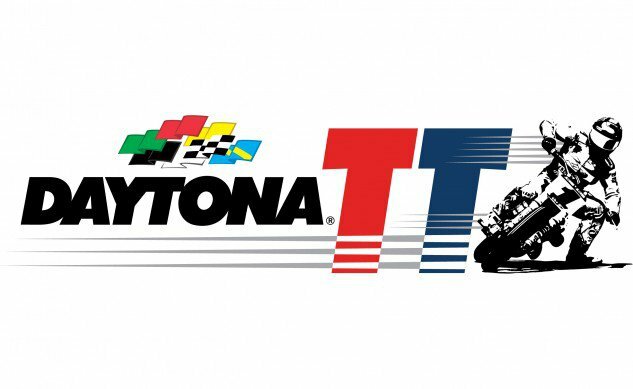 The DAYTONA TT, scheduled on the evening of Thursday, March 16, will feature powerful, twin-cylinder motorcycles in the AFT Twins class, while spirited single-cylinder machines will battle it out in AFT Singles. With a racing schedule that includes the DAYTONA Supercross By Honda, Ricky Carmichael Amateur Supercross, the all-new DAYTONA TT and the famed DAYTONA 200, DIS will play host to the ultimate festival of motorcycle racing in 2017. American Flat Track has been re-envisioned and the DAYTONA TT marks the dawning of a new era for America’s most historic form of motorcycle racing. The championship features the broadest spectrum of brands competing in any form of motorcycle sport and will serve as a battleground for the great American war between Harley-Davidson and Indian Motorcycles in 2017. The big factories will be competing head-to-head on the racetrack for the first time since the 1950s, and the battle of the brands will begin at Daytona. So it seems there is going to be a lot of interesting things going on by that news! Furthermore we also now know the man behind the logo. Don’t forget you can find more in the calendar here. Also, if you want a sweet new ride don’t forget to register for a new Harley-Davidson here, hurry cause entries are limited. Also don’t forget that if you are in need of some new gear we have it available as well, at affordable pricing. Boots, Jackets, Pants, Gloves, Helmets and even items for your bike. 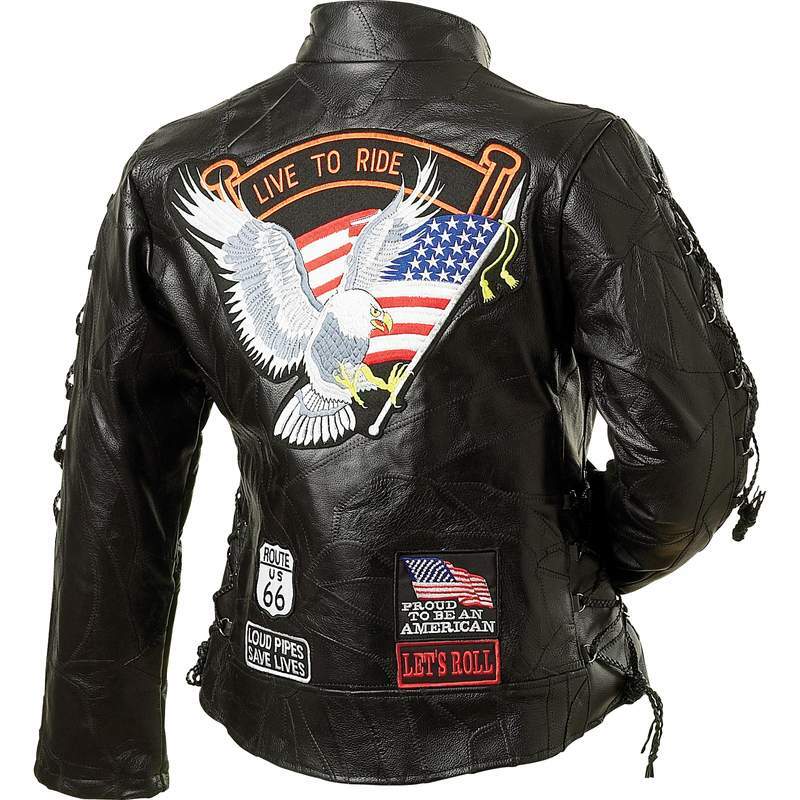 Let us wet your whistle with this gorgeous Ladies Genuine Buffalo Leather Motorcycle Jacket. This is a beautiful jacket that any lady would love to wear and is a great starter jacket to fill with your favorite patches. It also features multiple patches; zippered front; Nehru collar; and leather laces on sleeves and waist for an adjustable fit. Live To Ride brand embroidered cloth patches are included and already sewn in place. 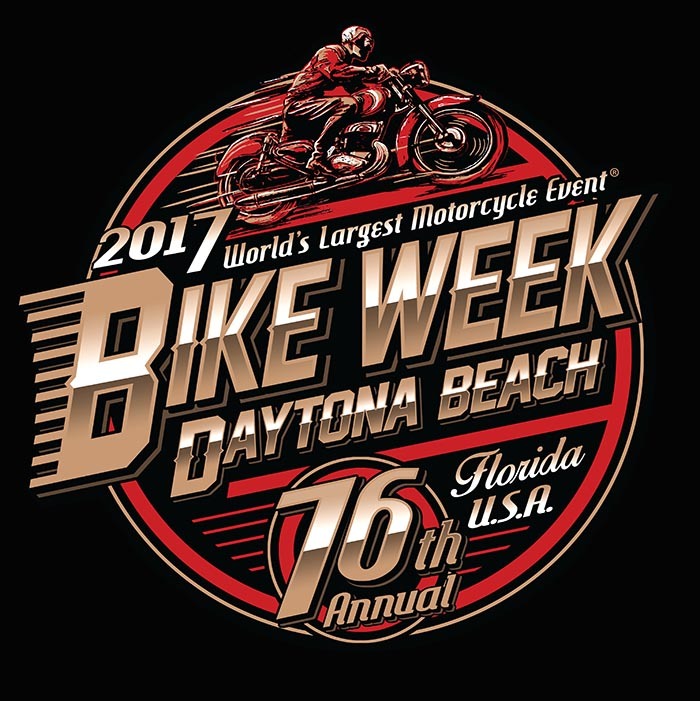 Let AMERiders keep you up to date on the goings on during Daytona Bike Week 2017.